MECLAB.T40 is a high precision laser instrument for quick and simple diameter measurements of hard metal blanks and full carbide cutting tools with odd or even edges. It provides offline measurement of diameter, run-out, roundness, min-max and cutting diameters for fluted tools, blanks and bits. 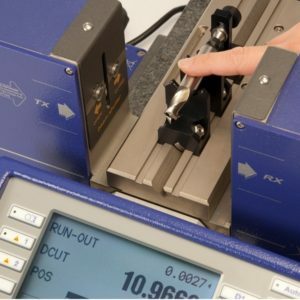 This bench top laser micrometer doesn’t require a PR. That makes it ideal for use in the workshop. It can be placed close to the machine to generate accurate diameter measurements quickly and simply. 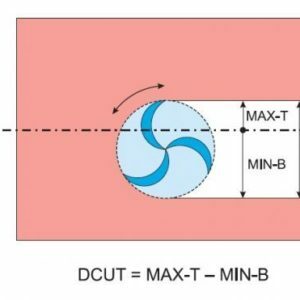 It is also very cost-effective, which makes it an attractive diameter measurement option for smaller operations. 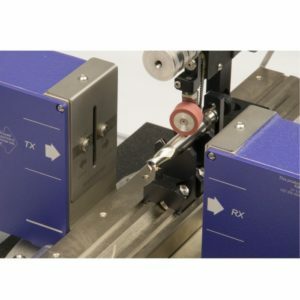 The MECLAB.T40 bench top laser micrometer uses a guided process, with the operator positioning the part at the start position and then choosing manual or automatic rotation. The laser scans at the rate of 15000 samples per second while the software provides accurate and repeatable measurements of cutting diameters and run out for odd and even fluted parts. 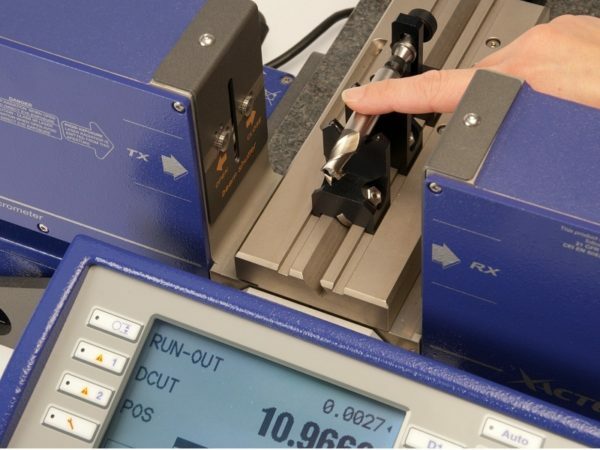 Accurate and flexible it can be used as a bench top flexible gauge across many shapes and sizes of pieces including hard metal tools and machined parts. 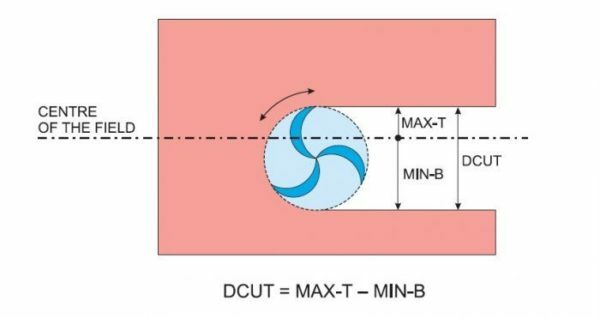 There are many features to the MECLAB.T40 benchtop laser micrometer for diameter measurement. 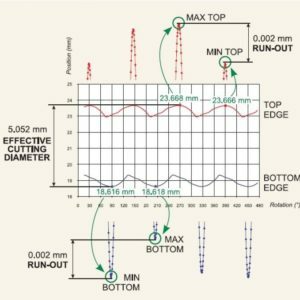 Using the tool dedicated menu, it is possible to check full carbide tools with ODD or EVEN cutting edges. The measurement mode must be On-Command Continuous and the part must be rotated (manually or automatically) to detect the max and min positions of the Bottom and Top edges. 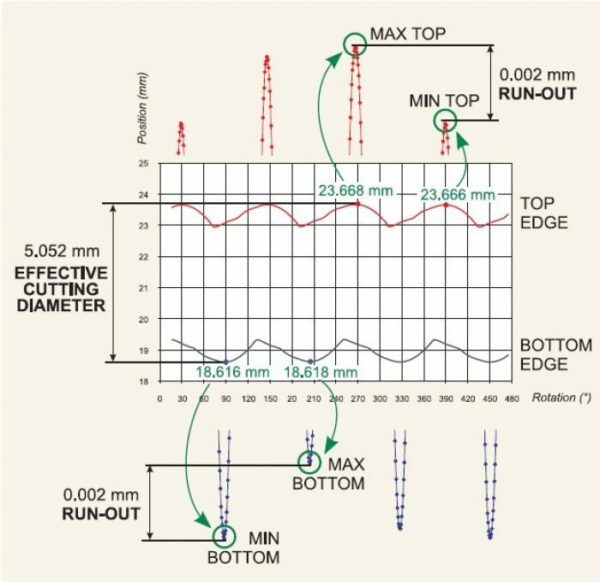 In this way the software measures the tool diameter DMAX (EVEN edges only), the Effective Cutting Diameter DCUT and the RUNOUT.